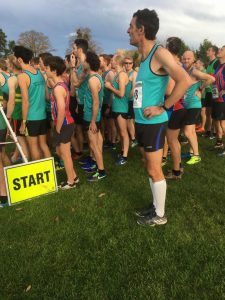 Both Men’s and Women’s teams got off to a brilliant start in their respective XC leagues with podium finishes for Nic Sykes and Henry Brocklehurst, and both Team Managers, James Drakeford and Rhian Littlewood, also among the scorers. The Men’s team are in third place in the Birmingham League Division 2 after the race at Cob House Country Park, Worcester, just one position behind host club Black Pear Joggers and 24 places off the top spot. The ‘B’ team also finished third showing great strength in depth, whilst also finishing higher than runners in 10 of the other 13 ‘A’ teams! Click the link for the full Men’s Results. 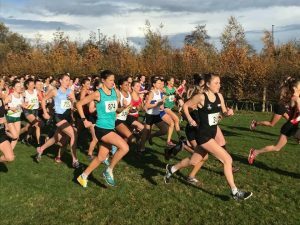 The Women’s team travelled to Coundon Hall Park, Coventry for their first league race in the Midland Women’s XC League Division 2. The team finished in fifth place after the first race and have high hopes that with the depth of squad and the consistency we’ve shown in previous seasons, promotion is in our sights. Click the link for the full Women’s Results. To find out more about racing in the Cross Country league and the other races throughout the season visit the Cross Country page for details.